Thyristor Modules use high voltage power thyristors/diodes and are electrically isolated from their metal base, allowing common heatsinks and compact assemblies to be built. 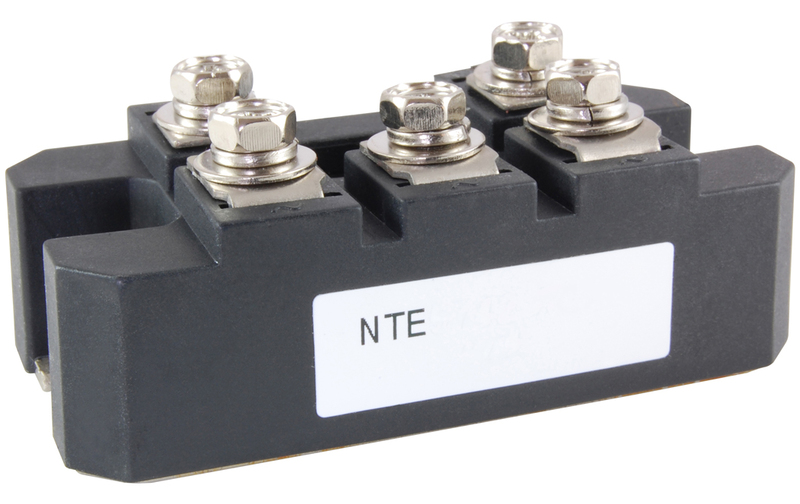 These devices are intended for general purpose applications such as battery chargers, welders and plating equipment and where high voltage and high current are required. Rectifier Modules use 2 power diodes in series and the semiconductors are electrically isolated from the metal base, allowing common heatsinks and compact assemblies to be built. These devices are intended for general purpose applications such as battery chargers, welders and plating equipment and where high voltage and high current are required. 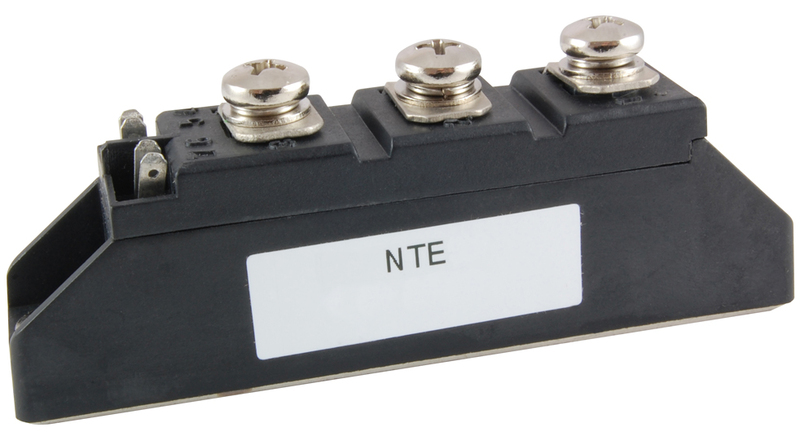 The 3 Phase Bridge Module contains six diodes connected in a three-phase bridge configuration. The mounting base of the module is electrically isolated from the semiconductor elements for simple heatsink construction. 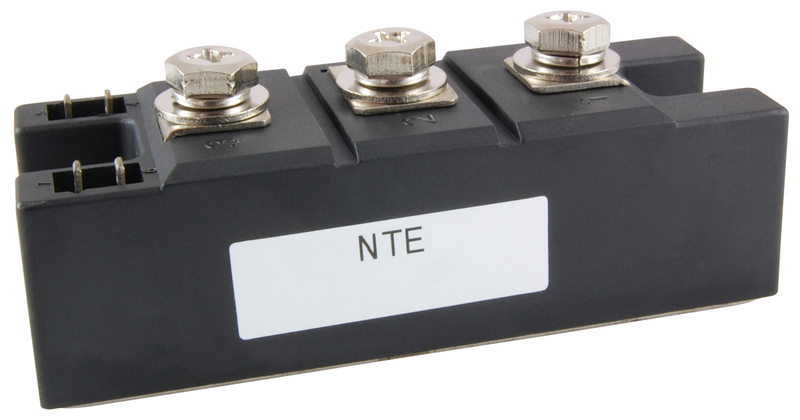 Hybrid Modules consist of power thyristors and power diodes configured in a single package. Applications include power supplies, control circuits and battery chargers.